The Cold War, despite all its dangers, had a coherent structure. It was the danger posed by the Soviet Union that compelled acceptance of US leadership no matter what doubts countries not in the Soviet camp might have harboured about American policies - even China after 1972 in effect accepted US leadership - and thereby imposed some structure on the global system. Who is capable of restoring coherence to the global system by exercising global leadership? Europe? Perhaps in economic terms when it sets its house in order. But strategically Europe is irrelevant. Its Common Foreign and Security Policy is at best an aspiration; at worst, a joke. Europe has been unable to influence events even within its own borders - in the Balkans in the mid-1990s, and more recently in the Ukraine. In both these cases, and there are other examples, it was the US that pulled Europe's chestnuts out of fires that Europe had - in fits of hubris - kindled but could not control. The lesson is that there is no "soft power" unless you have "hard power". When great powers reach agreements, they generally try to make someone else pay the price. Who else? The Brics? The term was first coined by a fund manager as a marketing device to part the unwary from their money. It is not a self-evidently viable geopolitical concept. What unites the Brics except a vague dissatisfaction with the established order and a desire for a global role or at least global recognition? But the sources of their dissatisfaction and hence their aspirations are not identical or even similar. In any case, aspiration must be matched by capability. With one exception - China - the Brics are primarily significant as regional powers and are able to act globally only sporadically. Even China is still somewhat ambivalent about its global role. The Western-shaped and dominated global system of the last 200 years or so - a system that in the 18th and 19th centuries was multipolar, and bipolar for much of the 20th century - is undoubtedly in transition. Post-World War II East Asia was very largely an American creation. But there is now a consensus: That while the US presence is still a necessary, indeed irreplaceable, condition to ensure stability for East Asian growth, it is no longer a sufficient condition for stability and needs to be supplemented - not supplanted - by some new architecture. There are various experiments at elaborating supplementary architecture and they largely define day-to-day East Asian multilateral diplomacy. But all still are only that - experiments. Whatever the eventual outcome, US-China relations will certainly be the central pillar of any new East Asian system. The dynamic of US-China competition cannot be reduced to simplistic dichotomies between a "rising power" and a "declining power" or between a "status quo power" and a "revisionist power". China is certainly rising but the US is not in obvious decline. And like all big countries, both the US and China are simultaneously and selectively upholders of the status quo when convenient and revisionist when it suits them. Now matters are far more ambiguous. 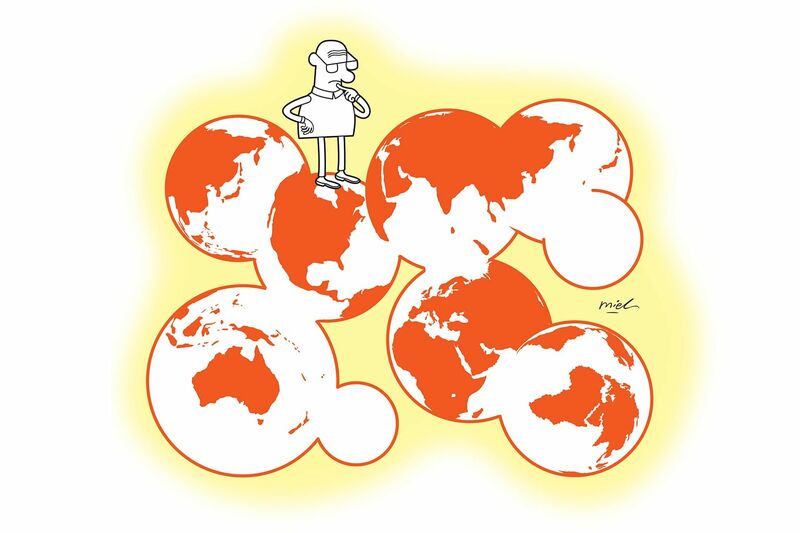 China evokes anxieties in countries on its periphery. But no country in East Asia - not even Japan or Vietnam which have very complicated relationships with China - considers China to be an enemy. And while the US is a friend, it is sometimes a very demanding and officiously intrusive friend. More fundamentally - and problematically for those of us who must adjust ourselves to their adjustments - the US and China do not really know yet what they want. China is such a central node in the world economy that the US might as well try to contain itself as contain China. The US is so much a part of East Asia that China might as well try to displace itself from the region as displace the US. And without the US presence, China might well have to deal with a nuclear Japan. So the US does not yet know how much help to ask for and what price to pay for help and China does not yet know how much help to offer and what price to ask for its help. Singapore took a particularly strong stand on this. The US, concerned about its relationship with China, singled out Singapore for special pressure. An Assistant Secretary of State threatened our Foreign Minister with "blood on the floor" if we did not relent. We stood firm and the US eventually changed its position. Bilahari Kausikan is a former permanent secretary for foreign affairs, and now an ambassador-at-large.